The Revelation 40.0mm Plossl Eyepiece 1.25" is an excellent value-for-money choice of widefield low power eyepiece. Revelation Plossls are designed to give you high resolution, great performance oculars at incredibly low prices. Matching many well-known brand names in terms of the views they give, Revelation Plossls are all fully multicoated, feature blackened internal edging to combat internal reflections, ensuring the highest possible contrast. 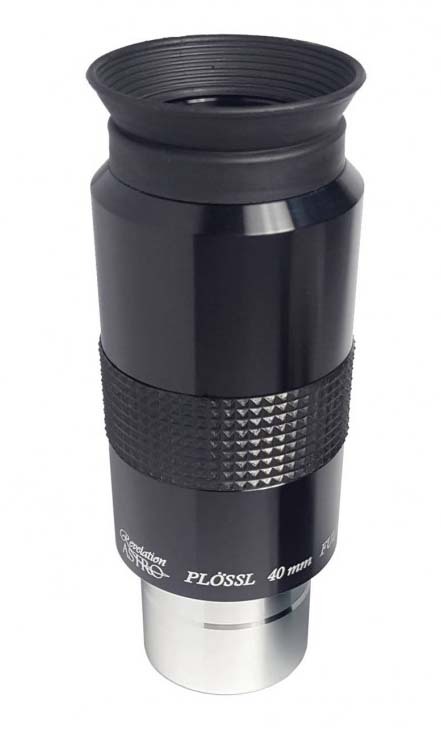 They have generous apparent fields of view and eyerelief, which while maybe not quite as comprehensive as those of more expensive and exotic designs, are certainly a match for many other equivalent Plossl designs. Revelation ND96 Premium Moon Filter 1.25"